Every year, UMB presents Leadership Awards to a select group of associates who best demonstrate the attributes and behaviors our company values most. The UMB Leadership Series highlights our award winners who are leading the way at UMB. 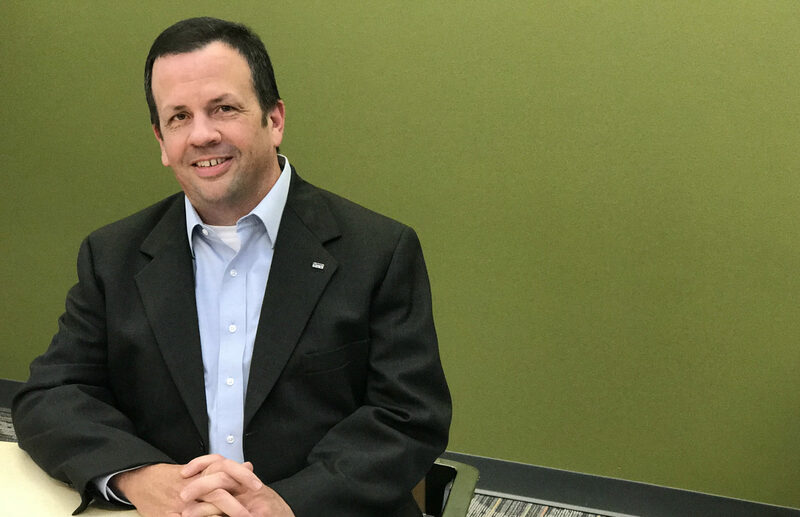 Dave Bonner, Vice President/Director of Operations, was honored with a UMB Leadership Award for nurturing relationships by demonstrating dignity and respect. In the Q&A session below, Dave explains the importance of building relationships – based on common core values and goals – to achieve success in the business world. I would describe my leadership style as participative. Everyone’s voice deserves to be heard. I’m fortunate to be surrounded by talented and knowledgeable team members. We strive toward a common goal of providing the best service to our customers. It’s difficult to pick one; however, possessing common core values are important for earning respect and fostering an environment in which team members share ideas and feedback. How do you effectively manage the needs of a business while still nurturing relationships? Positive associate experiences and relationships are critical for high-performing companies. They are key building blocks for success and stability and assist in motivation, goal achievement, professional growth and customer satisfaction. Leaders must nurture and maintain credibility within their teams to gain trust and support during times of change. UMB is committed to delivering the unparalleled customer experience to both our customers and our associates. Focusing on this concept of putting customers first – both internally and externally – fosters an environment of success for our associates, customers and business goals. 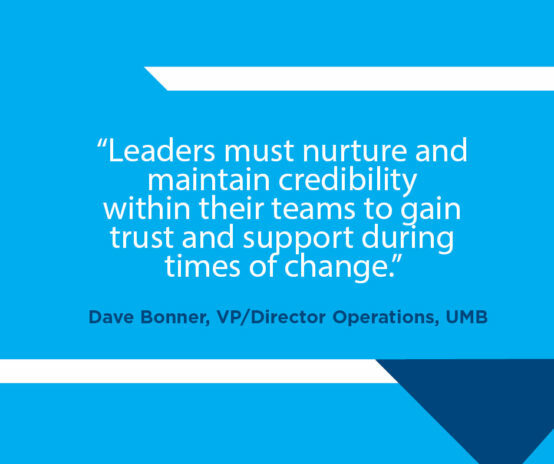 In the highly competitive banking industry, this is one way UMB sets itself apart. Is there a person who has had an impact on you as a leader? My dad was my inspiration. He was humble and had a strong work ethic. He instilled many important values within me that shaped my personal and professional life. What are some tips on continuing to grow and develop as a leader? It’s alright to create fires, as long as they’re controlled and managed. Stay informed on industry trends, UMB leadership and noteworthy company news by visiting our UMB in the News section on umb.com or following UMB‡ on LinkedIn.